What Young Men Of Color Can Teach Us About The Achievement Gap : NPR Ed "They're stuck in a predicament that teaches them that that's who they are. And that that's how they fit into the world," says Harvard economist Ron Ferguson. Ferguson, an economist at Harvard University, says that if we want to fix this problem, we need to listen to these students. His latest report: Aiming Higher Together: Strategizing Better Educational Outcomes for Boys and Young Men of Color was commissioned by the Urban Institute and pulls together research from national data and thousands of student surveys. He talked with us recently about the report. Are there any big surprises in this report? The biggest challenge to conventional wisdom has to do with the ways we understand boys and young men of color and their motivations and the way that they feel as they engage the world. What we're picking up in their responses is that there is actually quite a bit of vulnerability here. In some ways, they are trapped within a sociological predicament. They begin school already, on average, behind their peers. Often, they enter into classrooms where there are lots of other kids who are not necessarily well behaved, where other students are struggling. They are taught their racial and gender identity by others, including other kids, in the school. So they end up actually behaving according to a script that they don't necessarily subscribe to, but which seems a requirement to fit in and be accepted by their peers and maybe even by some of the adults. So there are a lot of misconceptions? 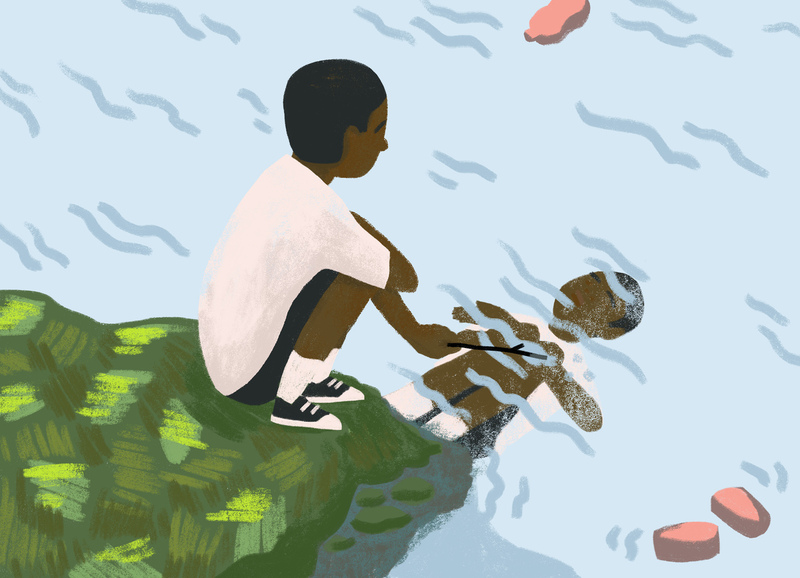 Many times we treat young boys and men of color as "the other." People think, "They're not like us, they're these bad kids." And my point is: They are not. It's not that we need to convince these young people, one at a time, that school is important and they need to work hard and have high aspirations. It's more that we need to give them opportunities to be who they really want to be, not who they feel constrained to be because of their position in the social structure. How do we do that in the classroom? The way we start to do it, first of all, is to be empathetic. To realize that young men are in this position. When young people misbehave or act defiantly, to realize that that's not necessarily the way they would like to act. They're doing what they think they need to do in order to fit in, or save face in front of their friends, or in order to not be viewed as not smart, if there's something they don't understand. They need better strategies. Can you talk about the role of classroom management? Access to an orderly classroom may be the biggest form of inequity. At the same time that we work to desegregate, we also need to work to prepare the teachers and the administrators who work in the school to really cope effectively with the conditions they face. They, too, are facing conditions they aren't quite sure how to deal with. We know that there are some teachers and administrators in these schools that are really succeeding. They know things. They're doing things that others aren't doing. We need to make better efforts to share the best of what is already known. In the report, you talk about failures with person-environment fit: where the person is the student and the environment is the school. Can you explain? Young people, or any person, function most effectively when there is a good match between what they're able and willing to do, and what others in the environment expect of them and are willing to do with and for them. And so what we find is that when children show up in kindergarten and are already a little bit behind their peers, there are already things they aren't understanding in class. And there are times that they feel, "Maybe I don't belong here, maybe I don't really fit in here." This is especially true if, as in many schools, kids are teased for making mistakes. Then the older kids start to teach them their identities; they start to teach each child how someone like you is supposed to behave. As kids get older, they're more and more subject to stereotypes. And adults anticipating that the young man of color is going to be defiant — the adult comes on hard, the young man anticipates this, and it leads to an escalation of misunderstanding and misbehavior and overreaction on both sides of the transaction. Disproportionately for young men of color, you end up with out-of-school suspensions and other forces that alienate young people from their environment. This is a story that really has no villain in it, but where each member in the environment is inserted into a web of pre-existing assumptions and conditions. What I'm arguing is: If we collectively understand more about the fact that that's what's happening, then we can together strategize ways to avoid it, for example, to not make the snap judgments that so often lead to misunderstanding. We can recognize that there is a complex web of conditions to respond to, not just one. We can begin in early childhood making sure that parents have a rich menu of ways of interacting with children to lay those early foundations for cognitive development. And to understand that it really matters. So let's talk about the early years. You draw attention to the fact that there are racial gaps in skills evident by the age of 2 — even for children whose parents are college educated. What's going on? We find that the gaps are not simply socioeconomic. Different segments of our population have different histories with regard to the way we give care and parent our kids. Some segments of the community are very focused on lots of interaction beginning at birth. Other segments of the population never had historically the experience to prepare them to do these things. Many of us who are people of color, as I am, have not come from generation after generation of privileged folks. We've not been in communities where there's a lot of shared knowledge of certain parent/caregiver practices, for example. And so, as we go about this work, we need to understand that we're talking about all people. We're talking about human nature stuff. We're not only talking about extreme disadvantage or helping only the poor. We're talking about working on lots of different dimensions — of which race and ethnicity are important — even among families where the parents are highly educated.